Ageless Wisdom that helps us Think Better, Smile More. Ever heard this phrase before? Not always the nicest thing to hear, right? 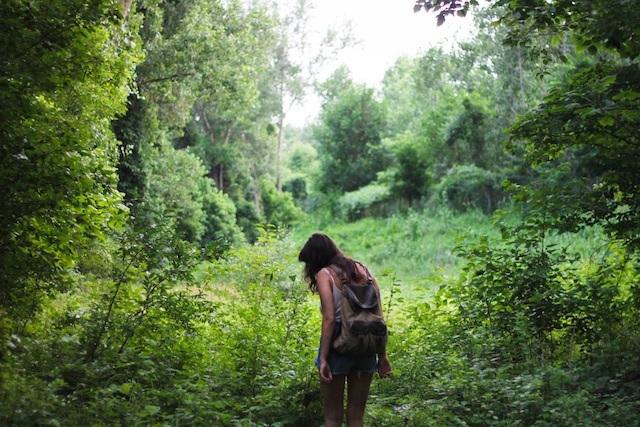 But what if “taking a hike”—simply walking—is just what we need to get smarter and feel better? What if this ageless wisdom will help us think better and smile more? As it turns out, for our own health and mental performance, one of the best life hacks that we can incorporate into our busy lives is frequent walking. Where did I get that one, you might ask? Well, as mentioned in my previous article, “Soil Spirituality,” I have learned a lot from my Grandpa Bear—especially the importance of three key activities: gardening, reading, and…you guessed it: walking. It is remarkable how my grandfather—through the decades in which our society saw drastically increasing automobile dependence and hyper-accelerating pace of life—maintained a slower, steadier pace. A slower, steadier pace that, I am convinced, has caused him to live an extraordinarily long, healthy life. He will be celebrating his 99th birthday next month! Whether alone, with a friend, a (lucky and happy) grandchild, or a trusted canine companion, hardly a day went by—all year long—that my grandpa wouldn’t take a good, long walk. I am convinced that his regular, extensive walking is a primary reason my Grandpa Bear has lived so long and maintained such mental clarity. And I am not alone in this perspective. Increasingly, neuroscientists, psychologists and kinesiologists are connecting the dots between rates of regular walking and cognitive performance, physical health and emotional well-being. Say again? You got it: walking a lot makes us smarter and helps us feel better. Of course, as an alternative to the extended periods of sitting that are now so pervasive in our culture, walking provides substantial benefits. Citing research recently published in the journal Circulation, Suzy Strutner writes in her Huffington Post article, “Sitting All Day Is Even More Dangerous Than We Thought,” that numerous and frequent interruptions to sitting, by getting up and walking around, measurably reduce the negative health impacts resulting from too much sitting. So, as you see, the science is starting to catch up to my Grandpa Bear’s ageless wisdom. Let’s get a bit outside the box here and muse a bit. Previous Post Soil Spirituality Next Post Aaron Perry’s kickstarter preview: 5 earthy & actually-fun things to make us actually-smarter & happier.